So I finally upgraded to FormZ 8 and was sniffing around both Vray and Maxwell. I used to have a Maxwell license when it first came out just to play around with it but I could never streamline it into my workflow because it was too slow. How is everyone's experience with either package and if you've tried both, which do you prefer ? Which one is easier to set up a scene ? Particularly interior work. In overall look and quality I actually think that Maxwell has a slight advantage. I also prefer their material editor since it has more flexibility and greater options. It is also less buggy but that will change as Form.z addresses some of the current quirks in their Vray integration. I am also a big fan of Maxwell's multilight function and its ability to change lighting scenes post process instantly. The other advantage to Maxwell is that their lights seem to be more predictable with realistic settings and their emitters work much better. The obvious downside to Maxwell is that it is painfully slow. Think hours instead of minutes and days instead of hours. I spent over $7k on my computer and still found that I had to spend thousands more every year on render farms to get an image in any realistic time frame. So quality comes at a cost here. Now for V-ray: First it must be noted that it is still a work in progress but over the last year they have made tremendous gains. So if you do buy this just understand that there will be some quirks but that is probably true of most any program. I have even crashed photoshop on occasion. As far as quality and performance is concerned there really is no equal. It is a hundred times faster than Renderzone and a thousand times faster than Maxwell. The quality is far beyond Renderzone and the material options are much better. Lighting takes a little to get used to but we are all working on that along with the material editor. Hopefully they will be greatly improved in the next release. For what its worth I think you need to assess your clients needs and expectations in order to choose what is right for you. I do architecture which is often viewed at a distance so super tight control over things like caustics and hyper realistic materials are not an issue. I think if I was doing product design I might use Maxwell more. What my clients are most concerned about is Budget, realism, and speed. That is why I use V-ray. The material editor is pretty straight forward, lighting is fairly easy to learn, the render settings are pretty obvious, the end results are quite realistic and I can produce top quality renders in minutes rather than hours. To summarize how I feel lets just say that I used Maxwell exclusively for 4 years and then when they released V-ray I did a mix for a year until things settled down. I have not opened Maxwell in over a year now and I probably never will again. All of our clients needs are different so this is just my two cents worth from my position. 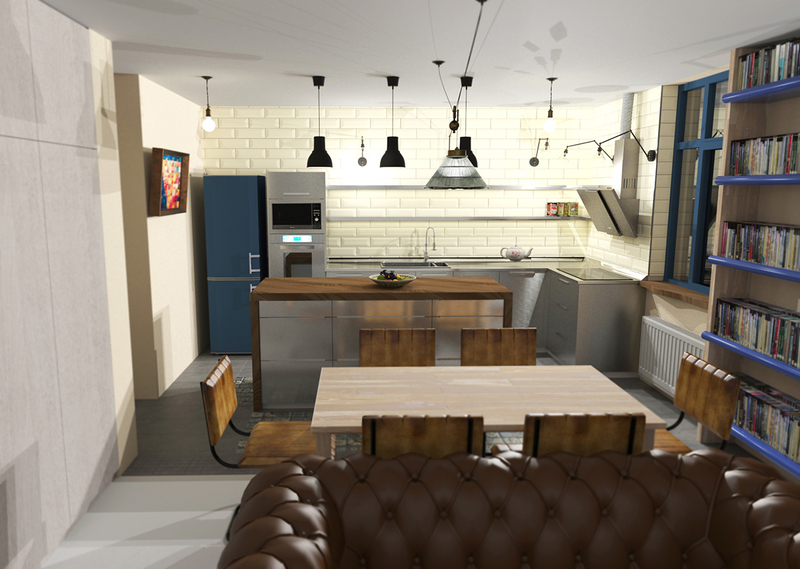 If you would like to see examples of images we have produced in V-ray check the forum here. I will post more soon. Thanks for the reply though. Very insightful! Based on the kind of work I do I think Vray is the way to go. I loved playing around with Maxwell because I was just in awe at the quality of renderings you could achieve but when it comes to real paying work the speed just isn't going to cut it. Looking forward to playing with Vray. I have used Maxwell for interiors extensively and I am very pleased with it. The level of realism is unmatched by any other software I've come accross. I have done only exteriors with Vray and it works great because of its speed and the fact that exteriors don't require multiple lights bouncing to get good results. I am about to embark in a test of interiors with Vray. I will post about the results soon. Chances are though, if it doesn't look stunning, I will use Maxwell instead. For final results we use Maxwell because we are able to compute many different views with different lights at the same time. Even if Maxwell require a long time to compute one image, we win time for several images, without the need to be in front of the workstation. So, we launch calculations during the night and, in the morning, we have all the views that we need. With a good HDR light, we dont need a lot of test and the result is always good enough at the first time. We just carefully set the light parameters into Fire, to be sure that the project is well lit. Also, the material editor is great as you can start with preset material and change the texture or some settings easily. Vray is great for speed and early project' views. We appreciate its integration within Fz. We use it as a conceptual tool and try a lot of material arrangement. Clients are happy because they have a good feeling of what the project could be. We use the standard settings for exterior scene and it is very quick. Also, It is easy to share the files as VRay has a bigger user base than Maxwell. Our main concern is that we have to produce a copy of each material (and two copies of the same project, one named with suffix M, the other with suffix V). It is a problem when there are some changes on the model. A compatibility between materials description would be appreciate here ! ﻿ How is everyone's experience with either package and if you've tried both, which do you prefer ? There is a hidden option beyond Maxwell vs. VRay. 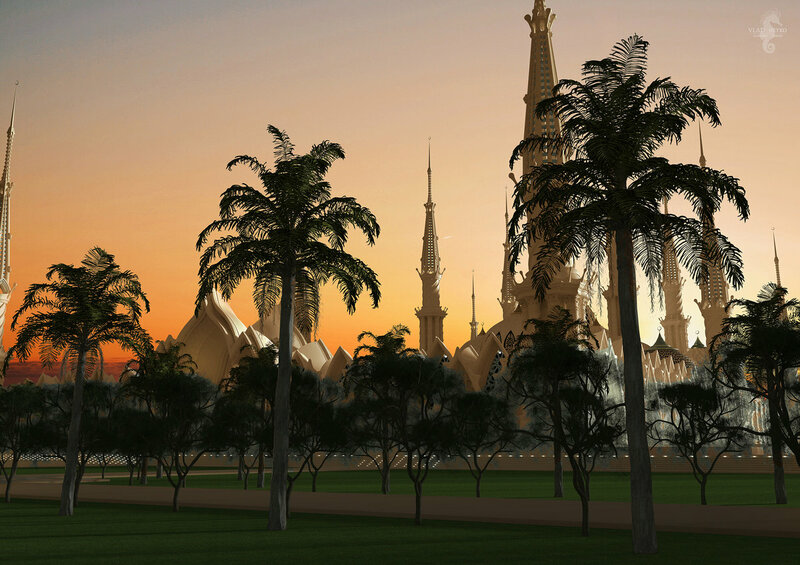 Nad it`s name is Thea Render. And despite they have Thea for FormZ no longer for sale you possibly could contact Manolis and ask whether you can get your copy. As for the quality of images mage check the one attached. As I mentioned above, I expected to use Maxwell for my latest interior job, and I did. I used 12 computers to render on an insane deadline. 10 renderings in less than 24 hours (render time). I planned to let the computers render overnight, but apparently one of them decided to reboot due to an update, and the whole network decided to stop rendering on rendering #3. To make a long story short, I ended up rendering the last 7 renderings at about 70 min. each; 1778x1000 pixels.. Used the denoiser feature, and everything worked out. I wish I could post the images, but the owner of this office is crazy possessive of his designs. In conclusion, I found the vray still has some issues. For instance, if you want to create a cove light by using an emissive material, the light output gets very weird, and it gets awfully slow. If you use a native vray spherical light source, and you want to hide it from camera, and you have quite a few of them in the scene, only a few actually hide from camera, and some will show up. Anyway, maxwell has never really let me down when it comes to quality. Maxwell has never let me down either, Allan. Nothing beats the Maxwell render engine when it comes to light and shadows, especially for interiors. Multilight is a HUGE difference maker when comparing the two. Apparently Vray already has, or is planning to have a similar feature, but don't think it's available in many integrations. I find the time it takes to set up Vray renders is much longer than Maxwell setups, requiring many, many render tests. I find its integration in FormZ to be very rudimentary, lacking elegance when compared to integration into other softwares. However as so many others note, Maxwell can be prohibitive due to excessive render times. Anytime I have the luxury of time, I turn to Maxwell. On a few projects, I have used both Maxwell and Vray and the difference in image quality is vast, favoring the Maxwell look. It seems their development might be stalled, simply judging from the state of the Maxwell Render website. No new announcements in a long time. Is this one going the way of Thea? I think you've hit the nail right on the head. Vray is great for exterior renderings, because the lighting in daylight exterior renderings is very simple. But, doing interiors with vray requires a lot of tweeking and testing, which frankly stresses me out, and takes a long time. With Maxwell I simply check my materials, my lights, my ISO and Shutter, and as long as my camera is the way I want, I hit render and walk away. If I want the fastest results with Maxwell, I make sure all of my lighting is correct, so I don't have to use multilight after the fact, and turn on denoiser. Great results even with an SL as low as 17.5 in about 1 hour depending on the scene. Of course, I am using 12 to 13 computers in my network. BTW, I have not been able to figure out how to the denoiser using the two mxi's Maxwell creates after the rendering is done. Maybe a tutorial can be posted step by step. The instructions from Nextlimit seem a big lacking. Great to see Maxwell is working well for formZ users. As I understand it, there's a lot of ongoing work on the Maxwell core to support multiple GPUs, thus the relative quiet on their site. Maxwell is not going the way of Thea. Hours for renderings... What a joke! What year is this? 2002? How do you all make a living?! If my VRay renderings take more than 5 minutes, I'm really annoyed. Most of the time using a time limit of 2 minutes on High quality with Mild Denoiser is all it takes for a 2550x1425 image. Of course having a 16 core AMD 1950x and (2) GTX 1070 GPUs and (1) GTX 1080ti helps. Its also much cheaper without needing additional render 'nodes'. To me, Maxwell is too slow, and will always be too slow. It sure does look nice when setup correctly for an interior scene, but that level of absolute realism is definitely available in VRay as well. VRay is like a faster and more powerful RenderZone. Sure, it can be used to fake some of those more complicated lighting scenes to make it render much faster or you can set it up like Maxwell and still have it render much faster than Maxwell, with similar shadow quality and level of realism. I'll agree that the Maxwell and even Thea for that matter, Integrations in FormZ are/were better than VRay was initially. However VRay is getting better with each release, whereas silly Maxwell has been promising GPU acceleration for years without actually delivering a usable product (tiny output size and only 1 gpu). The difference is our VRay integration is being developed solely by AutoDesSys themselves. Unlike the other platforms that have large teams of Chaos Group devs working on them. This means our integration is different, and will likely always be different than VRay for Max, SketchUp, etc. But it also means it's being specially catered to our needs. If you have an idea on how to make it better, simply email vray@autodessys.com and start the conversation. If you want to create a cove light in an interior scene, an emissive material is not going to be enough unless you have other light types in the scene. A VRay mesh light or Cone light would be much more appropriate here and will render faster (more efficient). Hiding their sources as 'invisible' should be easy and straightforward, but you will likely want to reduce their 'Affect Reflections' if you are still seeing sources too bright. Emissive materials are great for accent lighting, but are not meant to be primary lights in any scene in VRay. Turning them up can cause slow renderings and strange artifacts. Demands are different by industry. When I'm working on a church sanctuary renovation, my clients expect to see very high quality renderings. Since we are designing with light, we also demand that the render engine is able to paint the picture in a realistic way. We take photometric data of production light fixtures into consideration. In cases like this, and three to four hours generally gives very good results. If the material/light/exposure set up is not correct, time penalties could be worse. I've used both Maxwell and Vray on the same projects in several cases, simply as a point of comparison. Surprisingly, the Vray renders start approaching those same render times due to light bounces. Ask those 3d artists producing those slick interior renderings you see so often how long those vray renders take to process. It's not measured by minutes! On top of that, it takes much more setup time doing test render, tweaking, test render, etc... Total time involved takes longer in my experience using Vray. Consider that once I release a batch of renders on my slave machine, I'm designing other projects. I could then be charging double, but I don't do that... My preference in situations like this is Maxwell because set up time is shorter and quality is higher. When working on event or trade show projects, I cannot spend that much time on a single image. 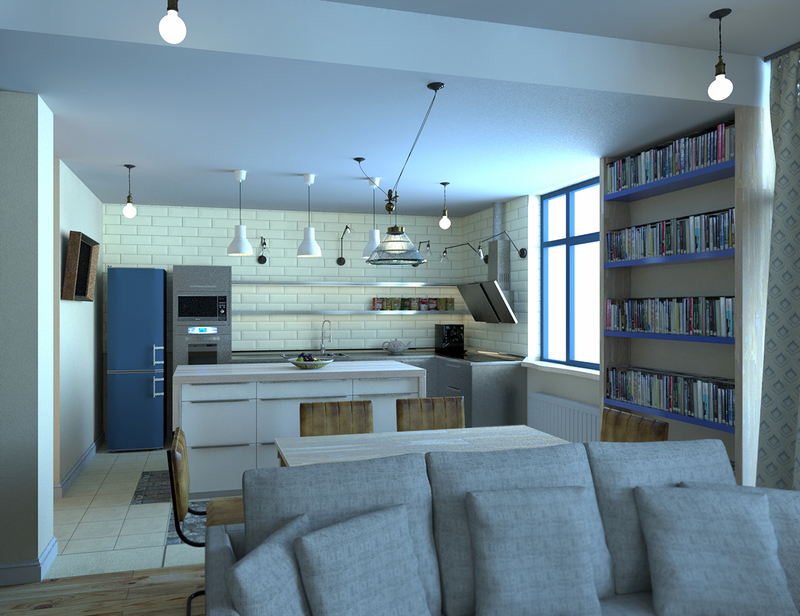 In those cases, I will either use Vray or Cinema 4D Physical renderings. I have developed a very fast workflow to kick these renders out quickly. On a recent, very large project with complex lighting and materials, each image was rendering mostly clean in seven minutes. I was happy with that. Each design iteration had about 12 images. The project saw about 21 design iterations. That adds up to a lot of time! Museum exhibit clients don't expect to see slick photo real images. For this, I simply use RenderZone for color, texture, lighting and overlay composite line work from either hidden line or sketch/doodle styles. I don't like taking the extra time in photoshop to process the images, but this hybrid style communicates very well for this kind of client and they kind of expect that. So, how to earn a living... knowing appropriate workflows for the job requirements and charging appropriately. For sure, there are project budgets or delivery dates dictating what the output looks like. Horses for courses and all of that. But generally speaking VRay is so much faster when you know better how to use it accordingly. I suspect you have more experience with Maxwell and that's why you feel you are able to get better results in a similar time. If you were using VRay with 1 or 2 Nvidia GTX 1070/1080 GPUs, the story would be much different with the time (The RT engine is much faster than the old Vray classic engine). But as you say, it's not always about time, sometimes it's about quality, and Maxwell does have some great features and uses for that. I know what you mean about the RenderZone overlay with hidden line/sketch style. It's a great way to show conceptual ideas. I've actually found that turning up Shaded Full settings all the way up and hiding the lines for some objects, does a great job at this too. Ultimately, it would be really cool if FormZ would allow us to composite 2 render styles on top of each other right inside of FormZ for these quick conceptual looks. I requested this a while back but it didn't gain much traction. Something like Renderzone and Hidden line/sketch style overlay, without having to launch photoshop for the dozens of images, and then again every time there's another dozen revisions. I agree that emissive materials do not work in V-ray like they do in Maxwell. I use them just to get a glow on an object. Then to improve that glow I make sure to use the Bloom effect in the final render window. As for cove lights I do them all the time as V-ray plane lights. That way you can point them in a direction and they are very easy to edit and scale. In the properties of that light make them invisible and invisible to reflections. Super easy. I use mesh lights to just fill a room with light but they still take on a little bit of the shape of the mesh (like a box). Maxwell does it better but not by a lot.